The Nairobi International Book Fair starts today 21st to 25th Sept 2016 at Sarit Centre, Westlands, Nairobi, Kenya. 4. Joseph O. Okewa, click Here to download his book Money, Music and Monarchy. 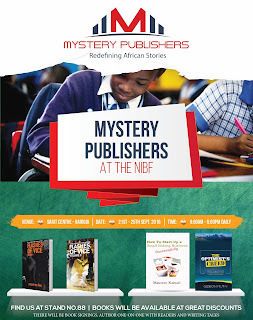 Visit Mystery Publishers stand at the Sarit Centre Expo Hall.